Ja was raised by his grandparents, Joe and Shirley. His mother was a drug addict, and found herself in and out of rehab and jail. His father was out of the picture for a long time. He was not interested in academics and sports, and he was often picked on in school. But he loved drawing, and his art helped him survive. This truth is the basis of “Hey Kiddo!” — a personal memoir told in graphic novel form by acclaimed children’s author and illustrator Jarrett J. Krosoczka. A National Book Finalist, it is geared for middle school and high school readers. The book is about 20 years in the making since he first got the idea. When he began working on it in earnest, it took him 6 years to finish it. “The most exciting part was spending time with family members who are no longer with me. The most challenging part was writing about them honestly,” Krosozka said. In his work, Krosoczka shares about his fears and disappointments growing up, but also recounts memories of happy times and celebrations. He believes his book has an important message. 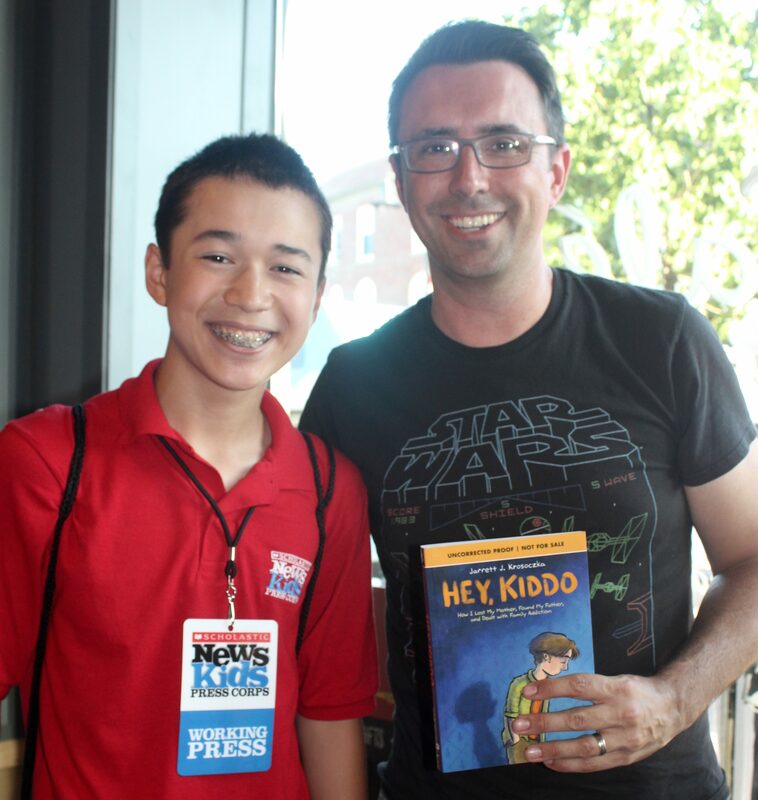 “I hope that young readers understand that their current set of circumstances do not dictate their future,” he said. Indeed, Krosoczka became a New York Times bestselling cartoonist. He has published more than 30 books including The Lunch Lady graphic novel series and the latest installments of the Jedi Academy series, first created by Jeffrey Brown. He lives in Northampton, Massachusetts with his wife and three children, and their pug.